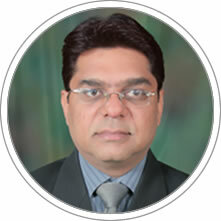 Professor Madan Is Ph.D in Management, Gurukul Kangri University, India; MBA, Devi Ahiya University, India. Master Program in Web Engineering and Database Technology, Electronics Research and Development Centre of India; Bachelor of Engineering, Ambedkar Marathwada University, India. Regarding his professional experience, he has been Assistant Professor at the University of Southern Queensland in Dubai; Visiting Professor at Shaoxing University in China. He has also been Director COER School of Management and Assistant Professor of the Faculty of Management Studies Gurukul Kangri University in India. He has conducted more than 100 workshops Career Development Plan for young executives and students. Evaluation of Market Readiness of Medium and Small Scale Non Profit Organizations in Northern India (Journal of Centrum Cathedra, 2009); among others. His book “Personality Development and Career Planning Exercises” was listed among the top best sellers in the self-improvement section of India Today Book Club 2003. He is currently Affiliated Professor at CENTRUM Catholic Graduate Business School and he is in charge of the University Placement Cell.